The National League Pennant winner St. Louis Cardinals have officially traded third baseman David Freese and relief pitcher Fernando Salas to the Los Angeles Angels for outfielder Peter Bourjos. #STLCards acquire OFs Peter Bourgos and Randal Grichuk from the @Angels in exchange for 3B David Freese and P Fernando Salas. This trade has roster implications for both teams, but let’s start with the immediate impact on the Cardinals. With center-fielder Jon Jay not under contract for the 2014 MLB Season, the Cardinals decided to shore up their defense by swapping out Jay for the fleet-of-foot Peter Bourjos. Jay, who hit a career low .276 in 2013, is at best an average defender and is best relegated to a utility outfielder and left-handed bench bat role on a team that utilized Adron Chambers and Daniel Descalso in that role last season, after Matt Adams took over for the injured Allen Craig at first base. Hopefully the Cardinals will continue to make smart decisions, and sign Jay for precisely that role in 2014. The acquisition of Bourjos adds a much needed speed element to a team that stole a National League low 45 bases last season. The key word in that sentence is “element”, because whilst Bourjos has speed to burn, he only stole six bases last season despite not being caught. 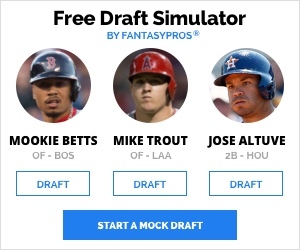 For Fantasy Baseball owners, this trade makes Bourjos a much more enticing commodity,, assuming he is given free reign to wreak havoc on the base-paths. 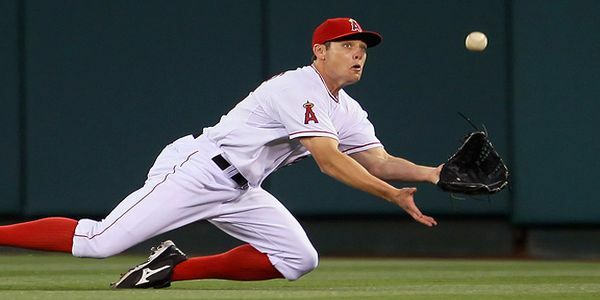 The 26-year-old outfielder (who will be 27 when the season starts) hit .274/.333/.377 in 2013 with the Angels. Both his batting average of .274 and on base percentage of .333, were Major League career highs for the native of Park Ridge, Illinois. Final note on this deal for the Cardinals is this: Mike Matheny better not get cute by batting Bourjos in the lead-off role. That role needs to belong to Matt Carpenter and his impressive .392 on base percentage. Carpenter, who will qualify at a bevy of positions again in 2014, should move to third base as a result of this deal. We assume this will now move Kolten Wong to second base. For our thoughts on where Carpenter would rank among third basemen, check out this article by Landon Jones (@JonesLandon). The Los Angeles Angels addition of Freese, we expect, will give them their first 15 home run hitter at the hot corner since Troy Glaus hit 16 back in 2003. Since then, the Angels have been trotting out Dallas McPherson, Chone Figgins (back when he was a live human and not a rotting corpse, figuratively of course), Maicer Izturis, and Alberto Callaspo. In fact, starting back in 2004, the Angels have gotten only 49 home runs from the third base position. That’s an average of 5.4 home runs per season. The 30-year-old Freese hit just .262, which is by far a career low for the 2011 World Series MVP. Freese, a native of Corpus Christi, Texas, suffered from a career low .320 batting average on balls in play in 2013, a number that lead many to believe a bounce-back is inevitable given his .347 career mark. Unfortunately, it’s not that simple. Freese hit .256 and .259 on breaking-balls in 2012 and 2011 respectively. 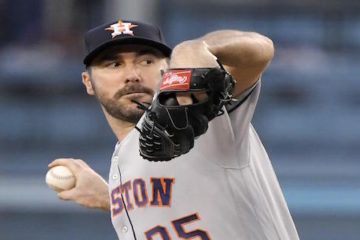 He posted a .189 batting average on said pitches in 2013, a number that accounts for nearly 100 percent of his batting average decline. 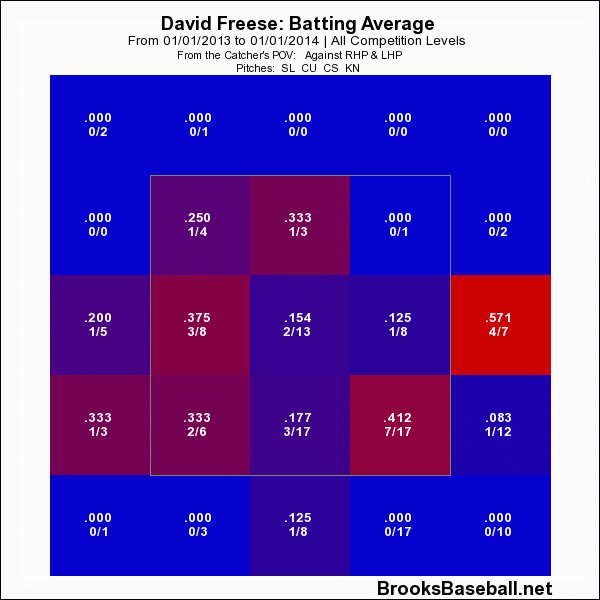 Let’s look at a chart of Freese’s batting average against breaking balls in 2013. The alarming note here is obviously the .177 batting average on breaking pitches right down the middle, but overall the problem is worse because Freese hit .260 on breaking pitches in the zone last season. 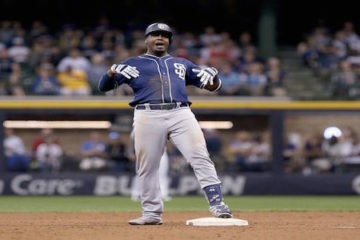 In 2012, he hit .352 on breaking pitches in the strike zone. If it’s a timing issue, we hope that the Angels batting coaches can iron things out for Freese, since he’s never had this problem in the past. Further more, Freese decreased his chase rate on breaking pitches down and away by eight percentage points last season. The verdict here is that if Freese can fix what ails him in terms of breaking pitch recognition and execution, this trade will be a win/win for both the Angels (value gained by moving Trout to center field) and the Cardinals. 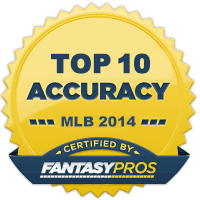 For fantasy purposes, Freese is outside our Top-10 third basemen rankings. The most important piece of this deal that you missed was Oscar Taveras! What happens to him? To me Bourjos should not stand in his way of challenging for an every day job, but based on some of the comments coming out of St Louis I fear he will! !